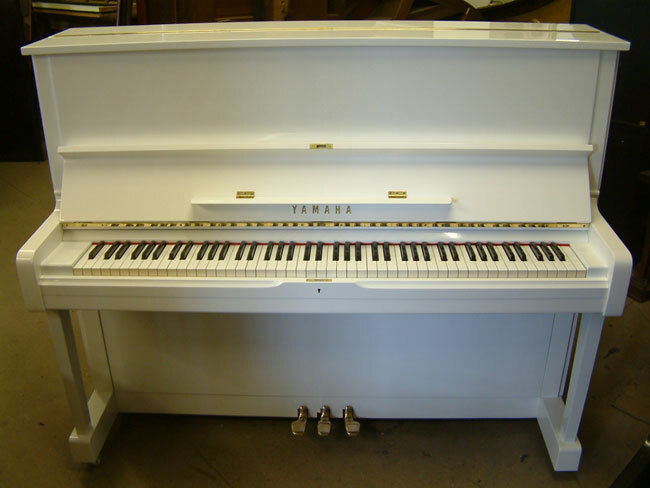 Yamaha U1 White High Gloss Piano. 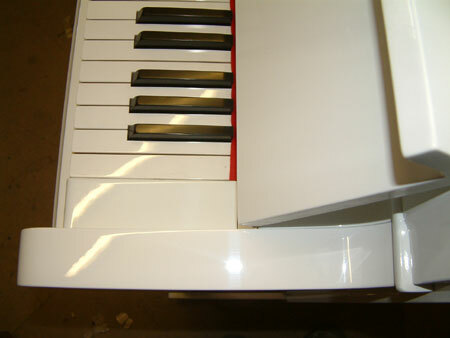 Scroll down for Photos of this piano before and after repolishing in AC high gloss. 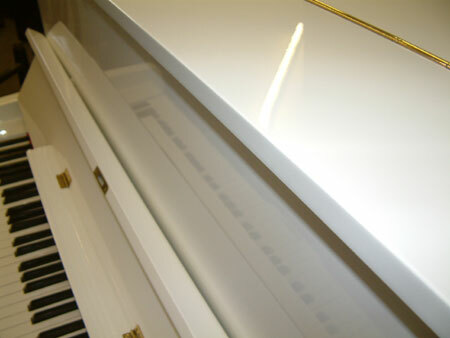 Yamaha U1 Upright Piano Re-polished in a Mirror White High Gloss finish. 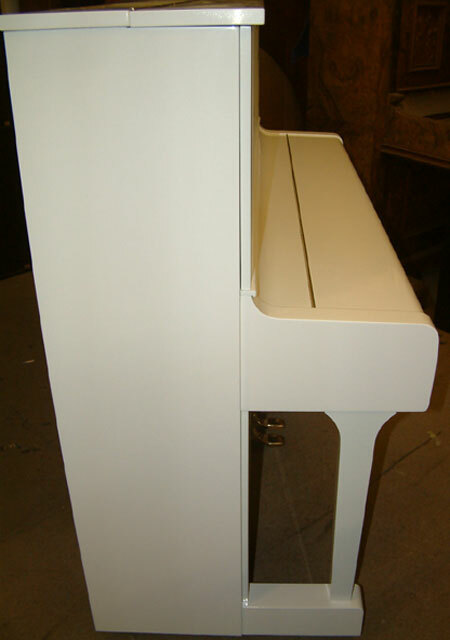 with a modern AC White Lacquer, they take approx 8 weeks from time of order to completion. 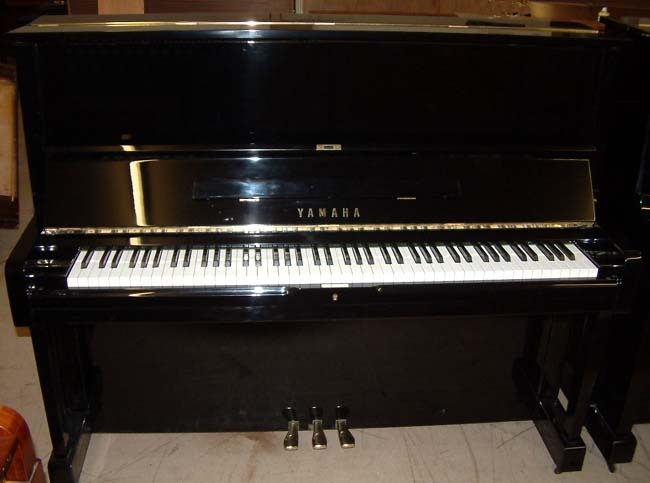 Please note that the brass inlaid Yamaha name is replaced with a transfer applied on top of the polish. colours, these can’t be sprayed over without yellowing due to the colour of clear AC Lacquer so these will be applied on top of the finished surface. 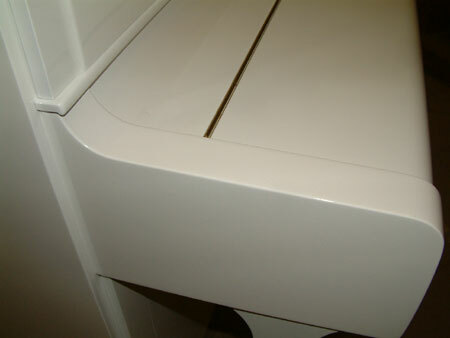 Below are some more images showing the White High Gloss Finish & Sheen level. 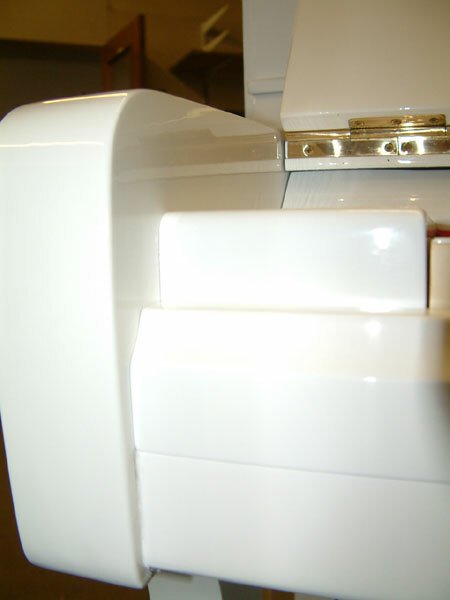 Before and after being repolished in a AC high gloss white finish. Keyboard & Yamaha (Transfer) Name and the left Corner view of the Yamaha U1. 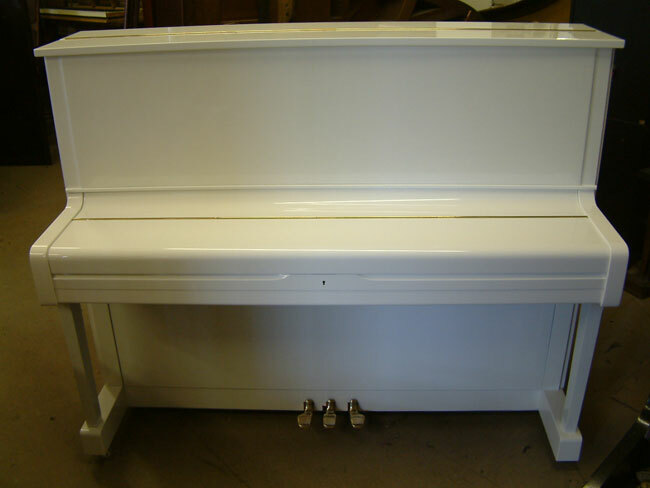 The cheek, keyboard end block along with the side view of the piano. 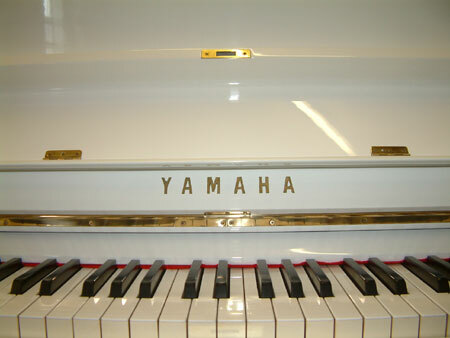 Right side of keyboard from above and the lid of the Yamaha piano showing the sheen level. 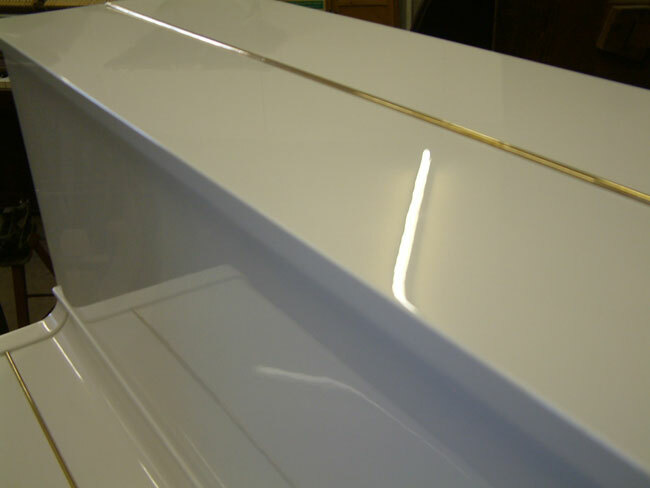 Below is a Image of the Yamaha U1 Piano showing the High Gloss Reflective Sheen level on the Lid and frontboard.